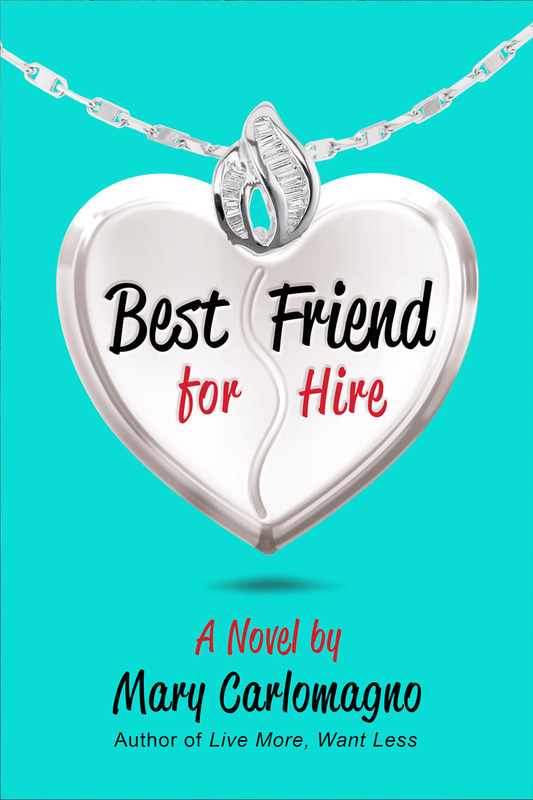 MARY’S FIRST NOVEL WILL BE PUBLISHED BY POST HILL PRESS ON JUNE 20TH! 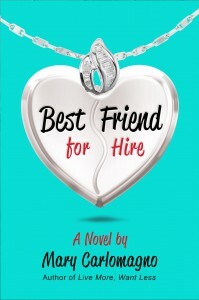 AVAILABLE NOW FOR PRE-ORDER ON AMAZON.COM AND AND BN.COM. Live More, Want Less give readers a user-friendly non-judgmental approach to simplifying their lives in a week-at-a-time format. Offering personal narratives, a reflection on a Taoist-inspired “way” toward more meaning, and a list of daily practices that bring tangible change, Live More, Want Less provides universal guidelines for every reader’s unique issue. 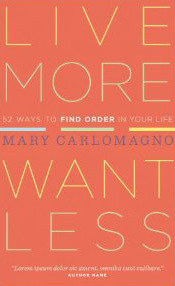 Covering themes like shopping addictions, procrastination, prioritizing, “busyness”, weight loss, and more, Mary’s “been there, done that” approach reassures the tentative that greater clarity can be gained by voluntarily living with less, and that de-cluttering both physically and mentally can allow one to experience life more fully. 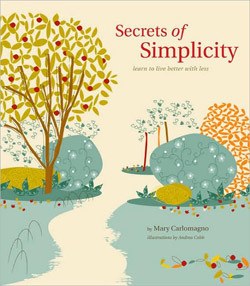 Like most people, Mary Carlomagno was stressed out, over scheduled, and tripping over the clutter of her days–until she decided to take control. Each month, she renounced one thing: alcohol, shopping, elevators, newspapers, cell phones, dining out, television, taxis, coffee, cursing, chocolate and multitasking. 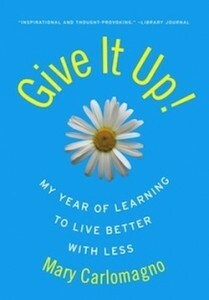 Find out more about her journey in her new book, Give It Up!